532 pages | 6 Color Illus. | 202 B/W Illus. Currently people deal with various entities (such as hardware, software, buildings, spaces, communities and other people), to meet specific goals while going about their everyday activities in work and leisure environments. These entities have become more and more complex and incorporate functions that hitherto had never been allocated such as automation, use in virtual environments, connectivity, personalization, mobility and friendliness. This book contributes to the analysis of human-system interactions from the perspective of ergonomics, regardless of how simple or complex they are, while incorporating the needs of users and workers in a healthy safe, efficient and enjoyable manner. 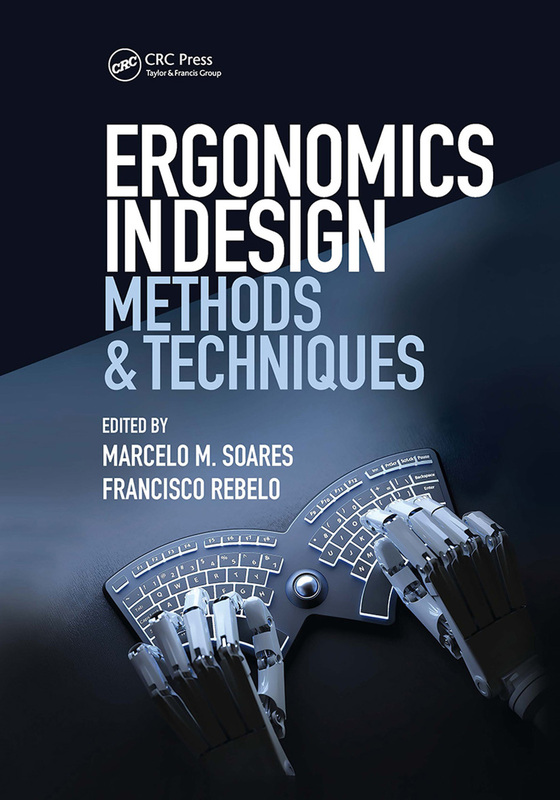 This book provides a comprehensive review of the state of the art of current ergonomic in design methods and techniques that are being applied to products, machinery, equipment, workstations and systems while taking new technologies and their applications into consideration. Ergonomics in Design: Methods and Techniques is organized into four sections and 30 chapters covering topics such as conceptual aspects of ergonomics in design, the knowledge of human characteristics applied to design, and the methodological aspects of design. Examples are shown in several areas of design including, but not limited to, consumer products, games, transport, education, architecture, fashion, sustainability, biomechanics, intelligent systems, virtual reality, and neurodesign. Applies different subjects to support the design including –ergonomics, engineering, architecture, urbanism, neuro, and product designs. Presents recent technologies in ergonomic design, as applied to product design. With the contributions from a team of 75 researchers from 11 countries, the book covers the state-of-the-art of ergonomics in a way to produce better design. Theoretical Issues. Multimodal Information Transfer by Means of Adaptive Controlling Torques during Primary and Secondary Task. Time Structure Analysis in Ergonomic Design with Cognitive and Manual Components of Work. From Vision Science to Design Practice. Bridging Fashion Design and Color Effects – the ColorErg. Communication Efficiency and Inclusiveness in the Corporate Visual Identity. Aspects of the Usability Assessment in the Multicultural Approach. Ergonomic and Wayfinding Design: Principles, Standards and Visual Code. Boundaries of Human Factors and Sustainability in Architecture. The Virtual Reality Devices Applied to Digital Games: a Literature Review. Human Characteristics in Design. Application of 3D Full Body Scanner in Ergonomics. Biomechanics and Psychophysics of Manual Strength Design on Different Interfaces. Digital Hand Model for Grip Comfort Evaluation. Classroom Ergonomics: a Portuguese University Study. Methodological Issues. Designing User-Oriented Future Ship Bridges – An Approach for Radical Concept Design. Urban Furniture as an Ergonomic Factor, through a New Color Planning Methodology. Design Requirements for a Spectacle-type Device in Rapid Visual Referencing. Ergonomic Design Thinking – A Project Management model for Workplace Design. Development Tools for Intelligent Systems. Older Workers and Virtual Environments: Usability Evaluation of a Prototype for Safety Sign Research. Percept Walk: Promoting Perception Awareness on the Elderly with Low Vision. Design of Interfaces for Seniors in the Context of Health Care. Design Development. Human Body- Sleep System Interaction in Young Adult Residence: A Methodology and Tool for Measure and Evaluation of Interaction Patterns Using a Software iSEE with Observation of Postural Behaviors during Sleep. Applications of Haptic Devices and Virtual Reality in Consumer Products Usability Evaluation. Hazard Perception of 3D Household Pack-ages: A Study Using a Virtual Environment. Certain Ergonomic Considerations and Design Solutions Connected with the Safety and Comfort of City Buses. School Supplies Transportation System: an Ergonomic Approach between Two Distinct Realities. Improving Bus Travel through Inclusive Service Design. Enhancing Sustainability Embodying Human Factors in Building Design. Design Requirements for a Spectacle-type Device in Rapid Visual Referencing. Dressing Autonomy for Frozen Shoulder Users: Analysis of Five Different Tops. Marcelo Marcio Soares - Professor Marcelo Soares is currently Professor at the Department of Design and the Department of Industrial Engineering at the Federal University of Pernambuco, Brazil. He is also invited lecturer at the University of Central Florida, USA, Technical University of Lisbon, Portugal and the University of Guadalaraja, Mexico. He holds an M.S. (1990) in Production Engineering from the Federal University of Rio de Janeiro, Brazil. He was also awarded the Ph.D. at the Loughborough University, in England. Dr. Soares is Professional Certified Ergonomist from the Brazilian Ergonomics Association, which he was president for seven years. He has provided leadership in HFE in Latin American and in the world as member of the Executive Committee of the International Ergonomics Association. He was also appointed as the Chairman of IEA 2012 (the Triennial Congresses of the International Ergonomics Association) which was held in Brazil. His research, teaching and consulting activities focus on manufacturing ergonomics, usability, product design, information ergonomics and applications of Virtual Reality in products and systems. Professor Soares currently serves on the editorial board of Theoretical Issues in Ergonomics Science, Human Factors and Ergonomics in Manufacturing and several publications in Brazil. He has more than 180 papers published in congresses worldwide and several books and book chapters. He has undertaken research and consultancy work for several companies in Brazil. Prof. Soares is co-editor of the "Handbook of Human Factors and Ergonomics in Consumer Product Design: Methods and Techniques" and the "Handbook of Human Factors and Ergonomics in Consumer Product Design: Uses and applications". Francisco Rebelo is currently Professor and Director of the Ergonomics Department at Lisbon University, Portugal. Is the head of the ErgoVR Unity of the Ergonomics Laboratory in the same University - http://ergovr.fmh.ulisboa.pt/ mainly involved in the modelling of Virtual Environments to study and optimize the human interaction in Ergonomic Design. Francisco Rebelo is European Professional Certified Ergonomist and belongs to the council member of the Centre for Registration of European Ergonomists since 2003. He is responsible for projects financed by the European Union, Portuguese Foundation of Science and Technology and companies, like NOKIA, Siemens, Novabase, Volkswagem, Embraer. Francisco Rebelo has more than 140 publications, most related with the use of virtual reality to study human behaviour and improve the design of systems - https://www.researchgate.net/profile/Francisco_Rebelo. He serves on the editorial board of Human Factors and Ergonomics in Manufacturing and Services Industries, Theoretical Issues in Ergonomics Science and in several publications in Portugal and Brazil.